Choosing the best violins always starts by identifying the best brands. And with numerous brands offering violins on the market, making a definite choice can be very demanding. It can be difficult sometimes to get a good deal, most especially for students with a limited budget. However, this guide is to help you choose the best brands for both intermediate and advanced students. Best Rated Violins for Intermediate and Advanced Reviewed. Owning a violin can come at a great cost. That is why many students will want to get it right when shopping for one. A great way to start is by looking out for the top brands in the market. However, our list here can be deemed the composition of the top brands for intermediate and advanced students. 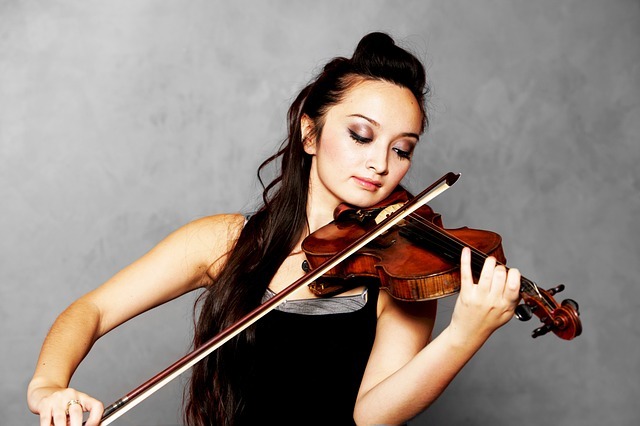 Kennedy Violins is one of the rising stars in the violin manufacturing industry. They ensure the quality of their products right from the onset. All their violins are handmade. And the finishes are usually a touch of perfection. Kennedy Violins is a US-based company that operates from Washington. Their instruments often come with a warm and original tone. This brand offers intermediate violins that are rated as being of highest quality. However, our top model from this brand is the Louis Carpini G2 Violin. This is one of the finest of Kennedy Violins. It is completely set up with no assembly needed. Ready to play right out of the box. Also, it is handmade with strong maple and spruce tonewood. This model features 100% genuine ebony fittings and oil finish. Some of what you get from an outfit of this violin are genuine Brazilwood bow and a professional case. Others include D’Addario prelude and rosin. A customer reported it coming with poor vanish. Yamaha offers a wide array of musical instruments. Without a doubt, it has become a household name in the industry that is full of tons of musical tools makers. It was established late in the 1800s under the name Nippon Gakki. Although it started with making of pianos and reed tools, it has since gone into making other instruments like violins. Notably, Yamaha is known for making many awesome acoustic and electric violins. And their products are usually handmade to offer premium quality instruments. However, you must know that their products don’t often come cheap. Meaning it might not be ideal for beginners. 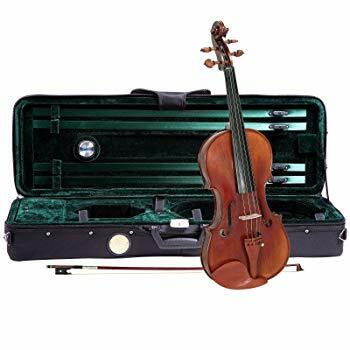 Our top pick for this brand is V3 Series Student Violin Outfit. It is made out of a strong superior woods. Its chin rest, pegs and fingerboard are all finished out of ebony. 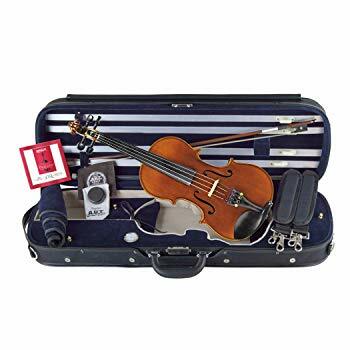 This highly rated violin is crafted by hand to provide a quality finish. It features tailpiece adjusters for easy tuning. It is definitely perfect for beginners and intermediate students. D Z Strad put a lot of work into making their stringed instruments. This company has its workshop located in New York and Minnesota. It provides a wide range of services for music lovers community. Violins are part of what it makes with perfection. 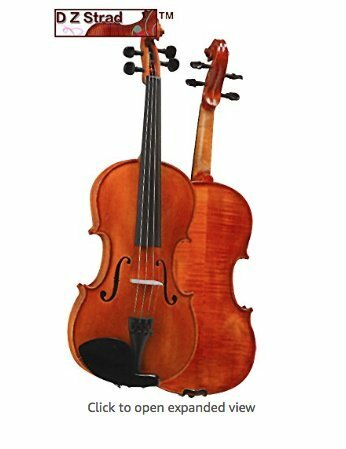 It makes all its string instruments in accordance with traditional European techniques. And in particular, their violins are well crafted with hand-rubbed Italian tonewood. Both intermediate and advanced students can trust D Z Strad models for quality sound and tone. In this case, our choice under this brand is Maestro Old Spruce Model 509. This model is a preferred choice among intermediate and advanced players. Its look, feel and sound are nothing short of professional. The violin is carved out of naturally seasoned tonewood. Its back and sides are made of maple. While its beautiful top is sculpted out of Italian spruce. Cecilio is one of the brands that produce premium quality violins for string players of all skill levels. The company always uses top of the line quality wood to make their violins. For instance, spruce and maple are the most frequently used woods. Also, it employs high-quality ebony for most of its fittings. In addition, most its violins are hand-carved. A lot of effort is put to the making of their instruments for durability. 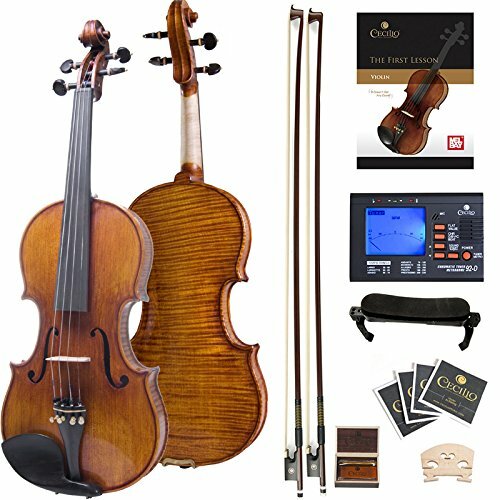 A major representative of what Cecilio stands for is the CVN-700 Solid Wood Violin. This is one of the best professional violins from Cecilio. It comes with maple back and sides together with the solid grained spruce top. It features a semi hand rubbed oil finish. While its fingerboard, pegs, chin rest and tailpiece are of ebony. This is definitely your top pick if you are an intermediate student. Cremona is included in this list because of its violins are easy to play. Although this company is among the young players in the industry, it makes sure high standards in the production of its violins are kept. It offers a wide range of violins to meet a different level of skills, from beginners to advanced players. Moreover, Cremona is best known worldwide for its attention to details. Above all, it uses the highest quality wood for the violins it makes. However, the SV-1400 Violin can be considered as one of its best. It is made of select solid maple sides and neck. The highly flamed, one-piece back ensures a focused sound and attack. While the fingerboard, nut, and saddle are carved from premium quality polished ebony. Price – This is an important factor for every student. Since most of them have a limited budget, choosing a brand with affordability in mind is necessary. 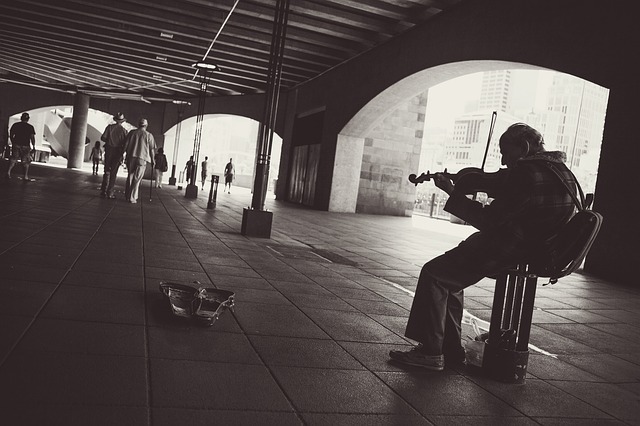 Some brands are best known for making premium quality violins at exorbitant prices. While there are a couple of manufacturers that still offer quality instruments at decent prices. You must however always consider your purse while making your choice but quality should not be sacrificed for affordability. Parts/Accessories – Another crucial factor you should take note of is the parts or accessories that are included in the outfit. You need to consider the list of fittings and parts that a brand includes in its packages. Equally important are the extras. For instance, does the manufacturer add an extra set of strings to its outfits? You may end up spending more if there are inadequate accessories added to your package. Finish/Varnish – The look and feel of your violin also matters a lot. It is always a thing of pride being able to show off your instrument among your colleagues. There are some brands that pay attention to details in handling the finishing of their products. Hence, it is very crucial to avoid models from brands that lack a touch of perfection. 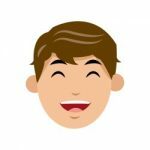 Customer Review/Popularity – The importance of reading reviews and buyer’s guides like this cannot be overstretched. You will definitely cut a lot of hard work if you consider how users view these brands. It from reviews like this that you can easily pick the most suitable brand for you. 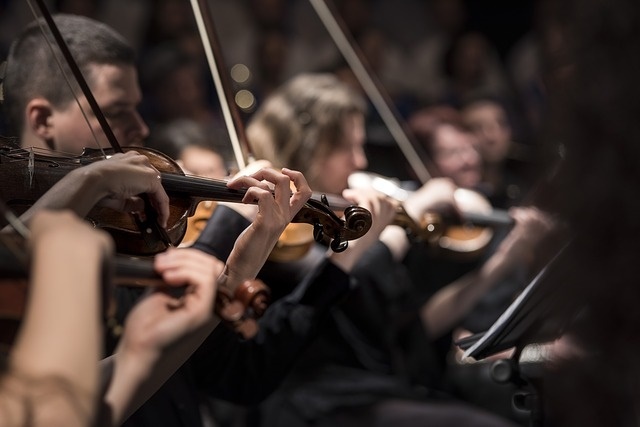 We know the importance of brand when it comes to buying the best violin as a student. That is why we have come up with this guide. In addition, there are factors you should consider when trying to choose a particular brand. Some of them include price, finishing and accessories that come with each outfit. Above all, any of the brands included in this list can meet your needs depending on your budget.